Ralph Kirshbaum’s distinguished career encompasses the worlds of solo performance, chamber music and recording, and places him in high affection and respect not only of audiences world-wide but also of his many eminent colleagues. 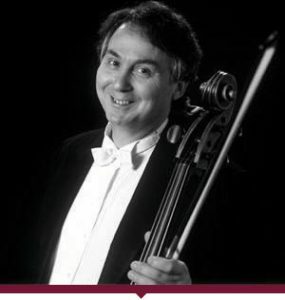 In 1988 he founded and became Artistic Director of the RNCM Manchester International Cello Festival at which every two years he gathers together his many friends amongst the world’s great cellists in a celebration of the cello, it’s music and musicians. Over the years Ralph Kirshbaum has appeared with most of the world’s great orchestras and conductors and is constantly augmenting a discography which by now includes the Elgar, Walton, Barber Concertos – Ravel, Shostakovitch, Brahms Trios – and the complete Bach Suites for Solo Cello.